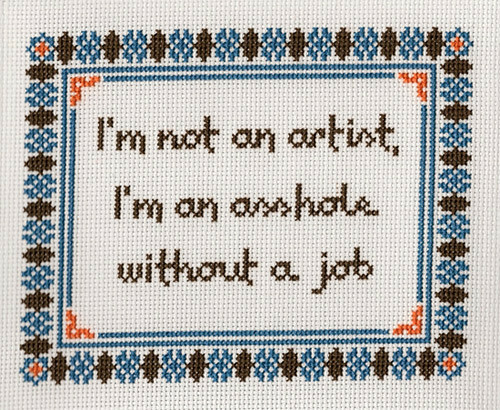 For this one, I decided to be less ambitious than on the previous lyric stitch and something a bit more basic with just a border around the words. For the border and colors I wanted to go with something that was a bit darker than usual. The lyric is from "Entertainer" by The Good Life. It's actually the very first line of the song. Your stuff is amazing! Thanks for the laughs and inspiration!